The soft, wrinkle-free shell that is cushioned with sponge rubber eliminates pressure points and restrictions to avoid any bowed tendons. 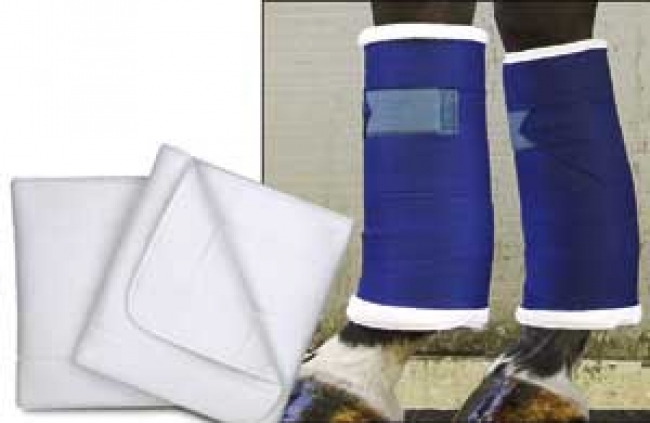 These wraps are good for shipping and a variety of uses including with medications and over wounds. Sold as a pair. Bandages sold seperately. 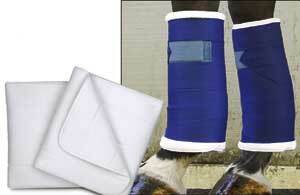 When choosing a size keep in mind that most horse's will wear a shorter size on the front legs vs. the back legs. Size: 10", 12", 14", 16" and 18"